A cool and simple salad for family reunions, church gatherings, or any weeknight supper. Place greens on a serving platter. 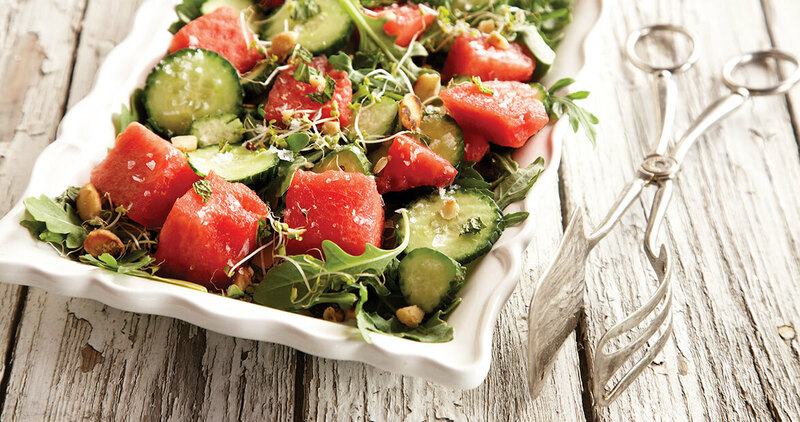 Scatter with cucumber, watermelon, sprouts, mint, and toasted nuts. At serving time, sprinkle with salt and drizzle with balsamic vinegar and olive oil.